So, you’ve heard the expression, ‘If the shoe fits, wear it.’ Or, the one about the glove not fitting (so you must acquit) during a Trial of the Century last century? OK, we’re not going to go there. This isn’t about that. But let’s get back to the first cliche, albeit a wise cliche. While, technically speaking, you should always wear shoes that fit – the alternative is, well, painful – the question remains, how should shoes fit? Maybe not a million-dollar question, but when it comes to purchasing the right footwear, it’s a question worth its price in gold. Or, maybe the question is, how do you make sure your shoes are the right fit? That also gets to the heart (and sole) of the matter. It sounds simple enough, finding the right fit, that is, but there are many things you need to consider during your search. That said, let’s start at the beginning. There may be many answers to this question, but there’s also a consensus, and that can help you make an informed decision. Don’t wear shoes that make you feel as if you’ve had to wedge your toes in to get them on. Instead, leave a half-inch between your longest toe and the leather of the shoe. One source even goes as far as to say you should leave enough room to perform a symphony by Mozart. Just make sure that your co-workers are forewarned, of course. More basics: Leave 1/8 inch at the back of the shoe. If not, then you’re just inviting blisters and skin irritation to appear, and that’s an invitation no one wants to send. Most of us know our shoe size. Or, at least know where to look to find out. The key, however, is not to obsess about it; yes, it’s good to have a general idea, but keep in mind that there can be a big difference in shoe sizes between different shoe companies. Why? Because each company uses different lasts, which are the molds upon which the shoes are built. So a size 9 running shoe in Company A might be closer to a size 8 in Company B, for example. Now that we’ve covered some of the basics of how should shoes fit, here are a variety of helpful hints that can help make being on your feet a pleasurable, rather than painful, experience. Armed with the right information, you’ll not only make a more educated decision, it will be one that your feet with thank you for in thousand ways. It may easier said than done thanks to your ever-crazy schedule and typical day, but what time you go shoe-shopping can be ever-important. If you can make it happen, then choose later in the day. Why? Because your feet swell during the day as walking increases the blood flow to them, and you want to be certain that your new shoes fit your daily bigger feet. *Note: If you absolutely must try on new shoes in the morning, don’t choose shoes that are snug. Your expanded feet of a few hours later won’t appreciate it. Don’t forget your arch length – that is, the length from your heel to the ball of your foot. The bend in your big toe should line up with where the shoe bends. You can check this out by rising up on your toes, with both shoes, and feel if the bend is before or after your big toe joint. If it is, then the shoe isn’t aligned with your arch length. Here’s something else to keep in mind, and it may seem obvious: Always have your feet measured before you try on shoes. Simply taking them out of the box and putting them on won’t provide all the info you really need. As with many other parts of our body, our feet change as we grow older. And something else to keep in mind: Get your feet measured at least once a year. Not only have your clothes and hairstyle changed from 10 years ago, so have your feet (as mentioned above). Your feet tend to relax and stretch out as you age. You’re at the store; you put on that pair of shoes that you’ve fallen in love with, and then you do what we all do – you take a walk in them. But do you really walk, or just take a few steps down the aisle and call it good enough? OK, so we’ve all been there, perhaps for the majority of our shoe-fitting excursions. We can alter the pattern, however. Even if you have to plead, ask the salesperson if you can take a decent walk (even just two to three minutes) on a surface other than the what’s inside the store, if possible. That doesn’t mean getting in your car and driving to find a different surface, of course, but there should be an alternative nearby. Toes – Again, no toe cramping! Let your toes lie flat in the shoe. Ball of Your Foot – The ball of the foot should fit comfortably in the widest part of the shoe. The Heel – Find the perfect balance when it comes to your heel. It should slip slightly in your shoe when you walk, which will ward off those nagging blisters. But if you’re clenching your toes just to keep the shoe on, then it’s too loose. It’s advisable to fit your shoes to the larger foot – again, have them measured – but that has limits. 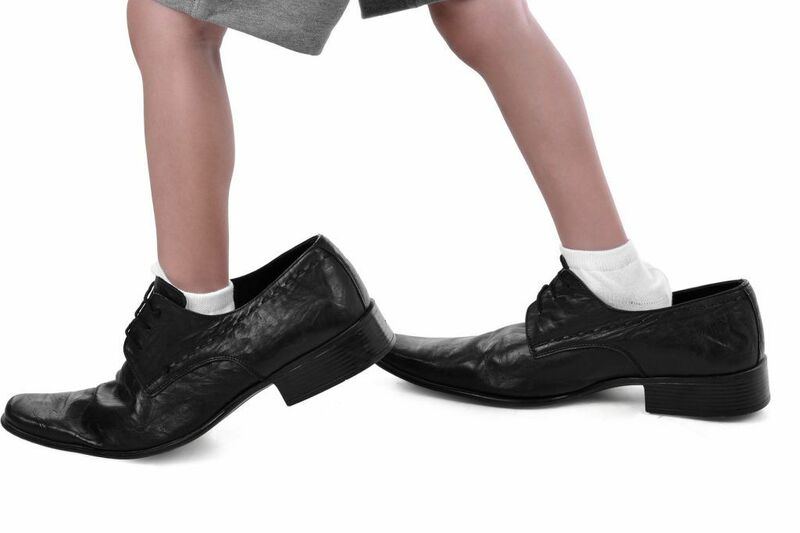 If the size between your two feet varies greatly, then buy two different sized shoes. Shoes with laces are easier to adjust to your foot size. Shoes without laces don’t allow for swelling variances and can be harder to keep on your feet. The heels of your shoes should be no more than 1 1/2 inches in height. Anything higher puts too much pressure on the front of your foot. There are a lot of things to take into consideration when it comes finding the right fit for you. But it’s not rocket science, either, and by keeping a few things always in mind, you can make sure that you’re keeping you – and your feet – happy.